South Puget Sound Community College (SPSCC) today announced it will host the 2018 Northwest Athletic Conference (NWAC) Men’s Basketball Crossover Tournament from Dec. 13 to Dec. 15, 2018. Clippers Men’s Basketball will be joined by Edmonds Community College, Blue Mountain Community College, and Portland Community College. Games will be held in the Gymnasium (Bldg. 31) at the SPSCC Olympia Campus. The tournament is open to the public. Entry is by donation, directly supporting Clippers Men's Basketball. 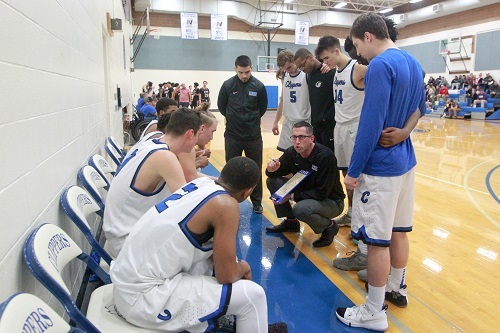 Visit the SPSCC Athletics website for the latest schedule and statistics.